The LA County Board of Supervisors will consider whether or not to approve the proposed Centennial development next Tuesday, December 11. 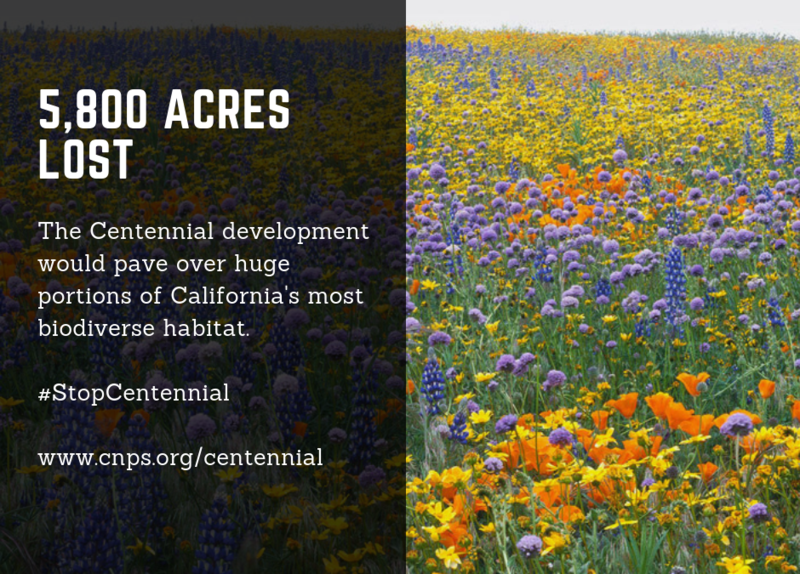 Although this project is located in LA County, we believe this is an issue that impacts all of California, both in terms of our biodiversity and the precedent it sets for sprawl at the Wildland Urban Interface. Tejon Ranch is one of the most biodiverse areas of California, containing 14% of California’s native flora and a third of our native oaks. What’s more, it’s situated in a high fire hazard severity zone, putting future residents in harm’s way. We are advocating for the conservation of this land in its entirety.